« The One Constant In Life Is Change – So Why Are We So Afraid Of It? Impossible to be sick of a gingham dress, as I’m concerned!, and I love these new and fresh ensembles!, particularly those gingham & florals combos!. I really like your floral jacket , and those leggings!, such awesome florals!. But I’m a huge fan of tartan, so my favorite could be number 9, even if it’s difficult to pick only one! That gingham dress is the queen of print mixing, Suzanne!! How could one get sick of it. I love the idea of leggings under it—they aren’t a focal point, but you get a cool glimpse when you move and such!!! Brilliance!!! 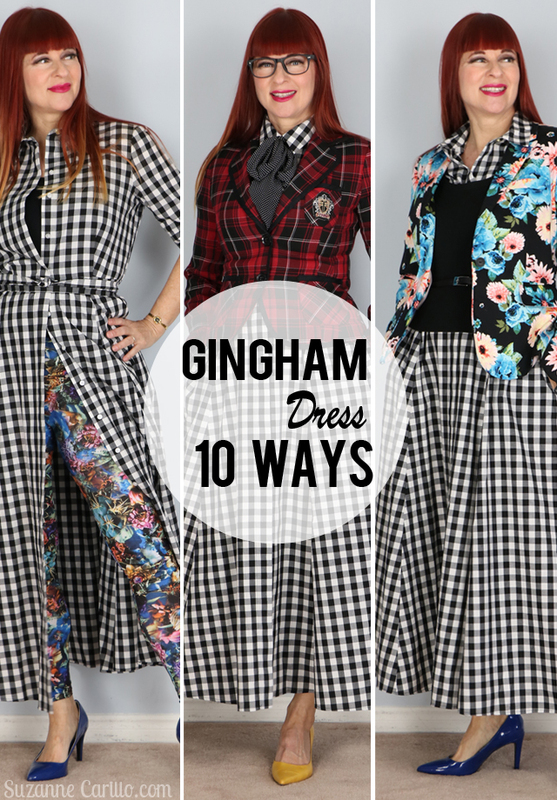 I have to admit I also suffer from A bit from gingham fatigue… at least I thought so until I saw this post. You are killing it here without this number seven , eight and nine! These are absolutely fantastic looks. That is seriously the most amazing dress of all time! I really love the longer length. I just ordered a blue gingham skirt – completely out of my comfort zone but I’m excited to try it. Have a great week! i cant pick a favorite – all the looks are fabulous!! YAY! Keep going. I love these outfits and this dress. I’m loving seven. 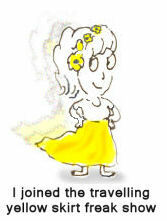 Eight is so much fun too, that pattern mashing, the silhouette, the yellow shoes – magnificent! I wouldn’t be bored if this was the only thing you ever did – loving it! I finally found a gingham top I am in love with! I can see the obsession. 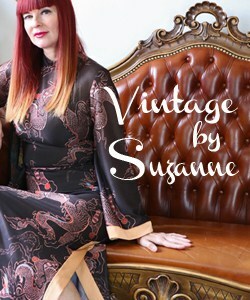 Its vintage, its a fun pattern. i really love these styles.. those floral tights with the dress as a jacket is perfection! I love how you mix prints! I really need to do this more, as I love the look. I like the way you styled it with the floral leggings and the blue shoes! 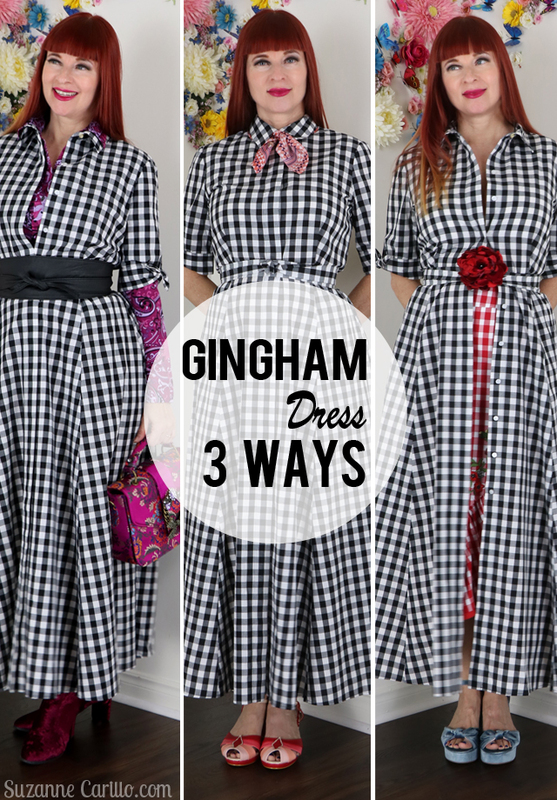 Gingham is fantastic! 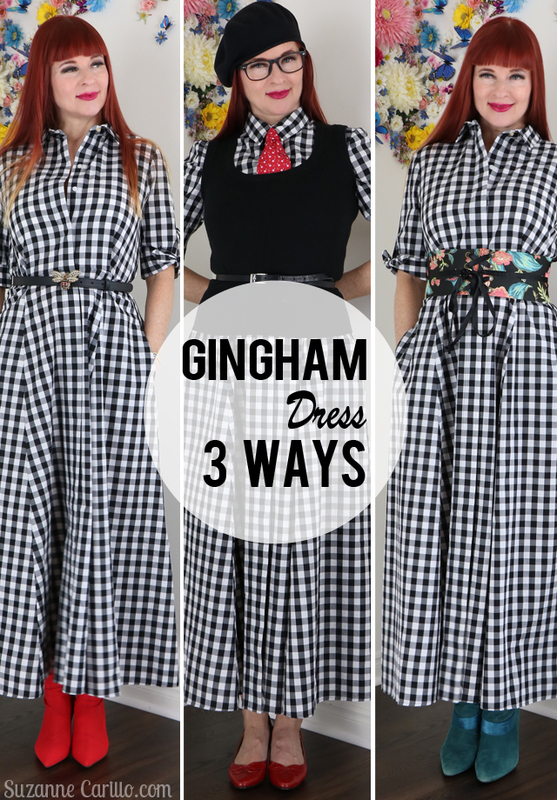 Gingham will never go out of style and you are rockin’ this dress like nobody. I love style #8 with the tights and would surely wear this to threads. Thanks for showing us your pattern mixing skills. Kudos!! Do we have to pick a favorite??? OK. OK. Let’s see…. The one with the tights is the most memorable to me–memorable in a good way. It has a vibrancy to it I’m really drawn to. I like the other ones too, but that look, of these four, is my fav. I’m blown away by your creative genius with patterns. Gingham with polka dots and plaid are two looks I intend to explore further. The tights are a great way to offer the “dress as coat” concept and I LOVE you for coming up with that!! These looks have real power because they require revolutionary styling and gutsy interpretations. Maybe that kind of thinking can bring on the need for regrouping so I get your desire for a break too! Again so good!! 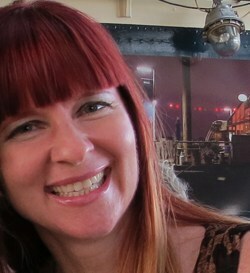 I love the dress with the colourful tights, and with the polka dot scarf. No way you are sending this one back. I have to have another look at my gingham tunic top. I definitely did not try hard enough. You probably already know that I absolutely love the dress over the leggings/tights since I had a cow over it when I saw it on Instagram. There is just something so funky cool chic about that amazing print peeking out from under the gingham dress.